It’s been four years since the release of Into the Bloodstream, the album that marked his return to recording in the wake of unimaginable setbacks including a stroke, lung cancer and the sudden and tragic loss of Ruby Hunter, his partner both in life and music. Let Love Rule is Archie’s tenth studio album in what has become an extraordinary career – the new songs explore the theme of love. “I wanted to write about love, or a willingness to love all people,” says Archie. “We are closing ourselves off and not letting people in. And not just in the sense of not letting them into the country, but not letting them into our hearts, into our minds. Many of the songs on the album are really a call for understanding,” explains Archie. Let Love Rule sees Archie reunite with producer Craig Pilkington, who assembled a stellar line up of Australian vocalists and musicians, in addition to legendary Argentinean charango player, Jaime Torres who joined Archie in the studio during his Australian tour last year. 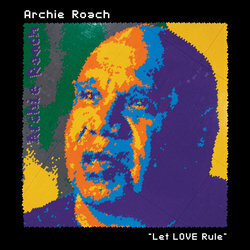 ‘Get Back To The Land’ is the second single from Archie Roach’s ‘Let Love Rule’ album which centres around the theme of love. The song is about love of the land and, with a blues-country lilt, Roach describes finding solace in country when relationships break down.